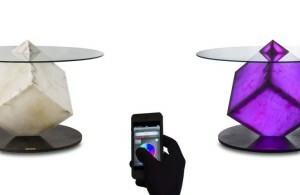 From time to time, table designs have been developed rapidly. Many styles come out every year with different outlook and fashion. In 2015, what is trending in terms of table design probably padded coffee table. This kind of table adds upholstered top that is usually filled with foam. Padded coffee tables also often come with lovely colors and smooth upholstery to give nice texture to your home interior. In this post, we are going to serve various padded coffee table models you might interest. Have a look! This is an example of a playful living room with contemporary décor. In this interior, the designer has brought many colors and patterns to keep the room interesting. 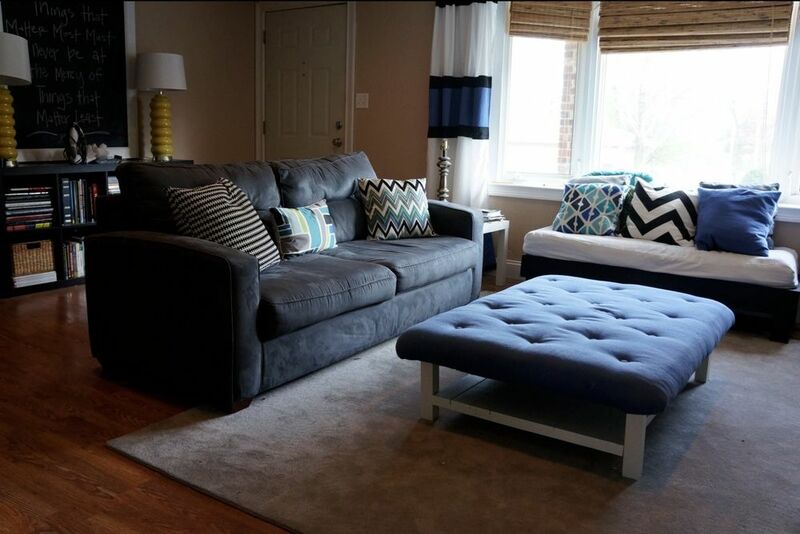 We see a full print sofa next to the wall. Also, the teal wall is impressive as well. When you look at the floor, mosaic area rug comes with yellow tone and excellent graphic. Right on the rug, a more interesting thing is seen. 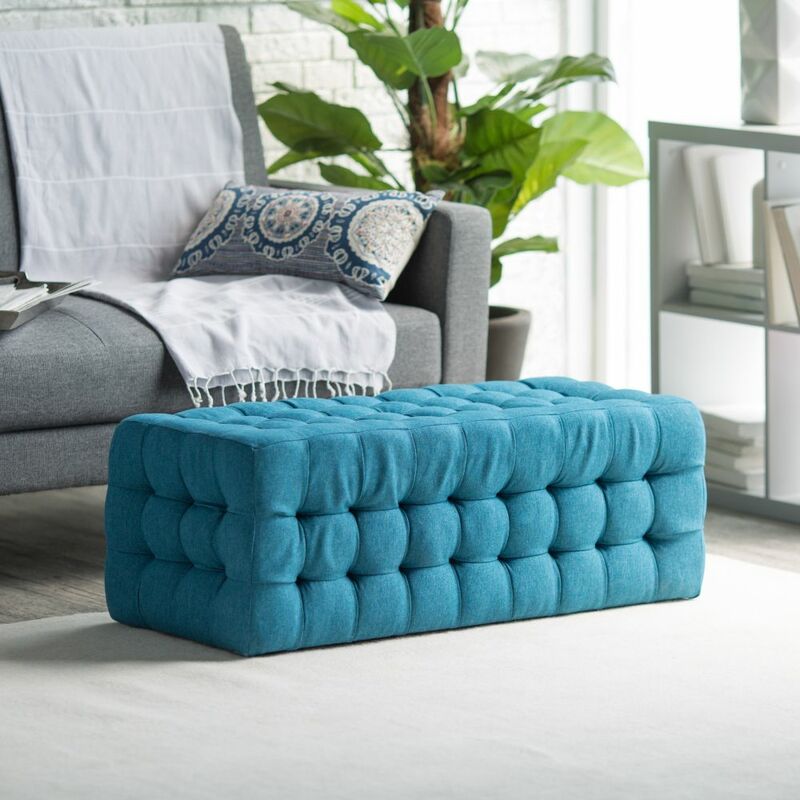 It is a stylish padded coffee table. 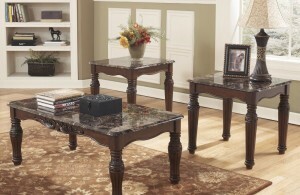 This special coffee table has upholstered top with silky smooth garment. The beige upholstery of this table can adapt to the room color palette. In addition, the table comes with shiny metallic frame that makes it even more aesthetically appealing. Here we show you a more classical styled interior. This formal living room has its wall painted with classy red paint and some white accents from the moldings. Meanwhile, the furniture selection is another thing to be respected here. 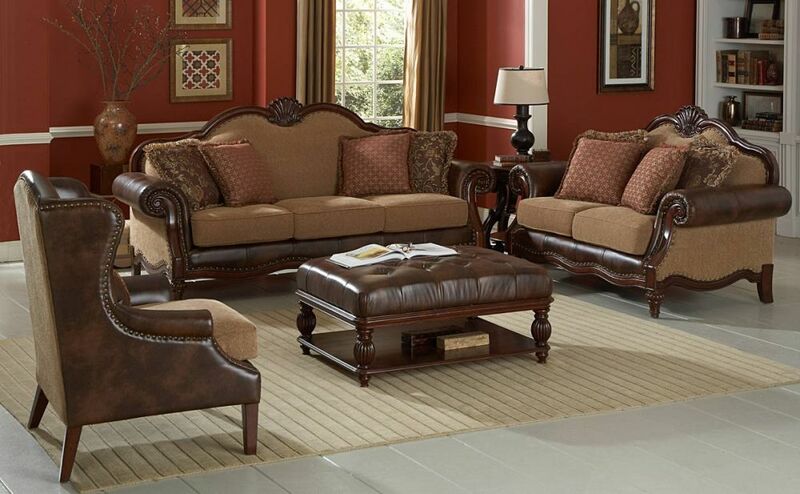 It involves two great chesterfield sofas with brown cushions and classic pillows. However, we want to discuss the padded coffee table in front of the sofa. It is a nice compact table design with upholsters on its top. The brown bonded leather material covers the foam splendidly. In addition, the button tufts make the table top more attractive to see. This table also offers decorative carved feet and a bottom shelf. A photo you find below represents a cozy small living room with welcoming furnishings. The two beige sofas are combined well with a dazzling padded coffee table. 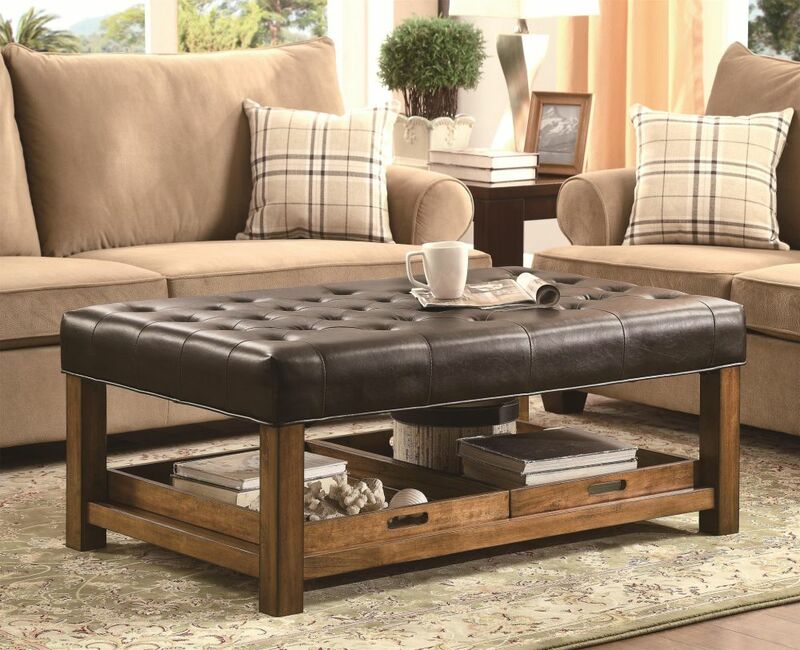 The coffee table uses luxury faux leather upholstery for its top. Meanwhile, the use of hardwood frame creates traditional impression for this furniture design. There are two shelves added in the bottom of the table that allow you to store stuff like magazines, books, and so on. 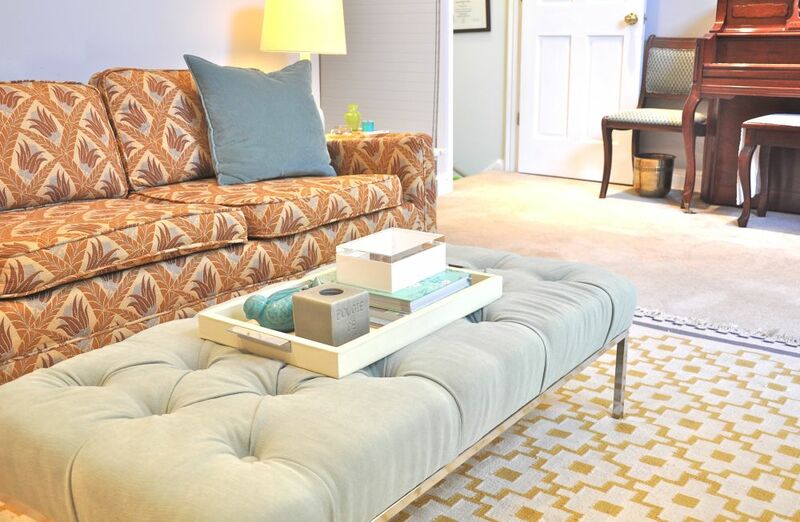 Overall, this padded coffee table design is perfect to create timeless charm.